Industry defense is a key focus of the Brewers Association (BA). Each year, the BA organizes a Capitol Hill Climb, where guild leaders and brewers are invited to attend prearranged meetings with their states’ elected officials in Washington, DC. The importance of establishing relationships with Congressional representatives and their staff cannot be underestimated. Brewers guilds have a collective voice which should be heard on national issues of craft brewing importance. Guild presence in Washington is also essential for helping advance guilds’ interests—the focus is to educate legislators on the economic, social and cultural contributions that small breweries provide to their communities. State legislature Hill Climb: Annual visits to elected officials in their state Capitol offices to educate them on the small brewing industry and advocate for small brewer interests. Support Your Local Brewery (SYLB) network: SYLB is a grassroots activist organization whose ranks are made up of beer enthusiasts from all 50 states. 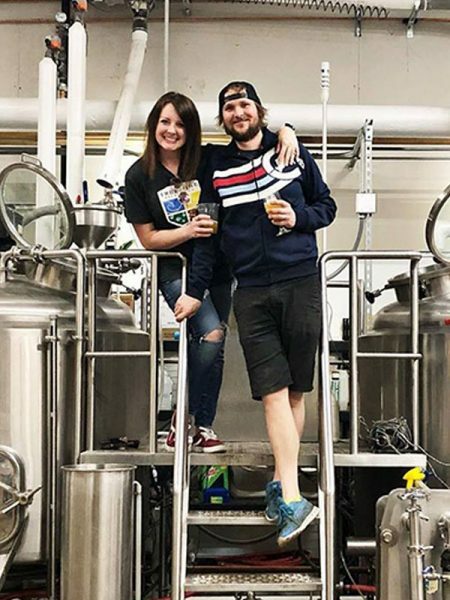 These activists are busy writing letters, sending emails and making phone calls on specific issues or bills impacting the state’s small brewers. Attend legislative committee hearings: Hearings are attended to testify on bills of interest. Legislative tastings: Legislative receptions held at the state Capitol are a great way to meet with a brewery’s district legislators and staff and be able to talk in a more candid, personal fashion. Fundraising: Assisting members with fundraisers for elected officials. There’s a wide range of cost for a lobbyist. Some guilds pay $5,000 a month, while some pay $5,000 a year—depending on what issues arise and the amount of required action. It’s an important but expensive option. “We have a lot of alcohol beverage legislation every year—about five to 10 different bills on average. Our lobbyist and his firm identify each of those bills as they are introduced and track them through the eight-month annual session. Each time any one of those bills is amended, the firm identifies the amends and we analyze together for threat analysis. The process of identifying and tracking bills alone is a valuable service. More importantly, our lobbyist is at the Capitol virtually every day (he has seven other clients in addition to us). He is our eyes and ears in the hallways and cleans a huge amount of “intel” talking with legislators, policymakers, staffers and other lobbyist. All of the state legislators know him on a first name basis and know that he represents the craft brewing industry. “I can tell you that it has made an incredible difference having somebody who is looking out for our interests at the Capitol, as well as giving us some much needed guidance in our first few years of being more actively involved legislatively. We feel there has been a huge advantage being able to rely on someone who’s office (with taproom, by the way) is two blocks from the Capitol building! “I know that lobbyists are seen by many as sleazy glad-handers with big, expense accounts and few scruples. In my experience, that is not the case at the state level. The lobbyists I saw in the halls of the State House were hard-working, honest people, building and maintaining relationships with legislators. Get a good lobbyist, a professional with established relationships. Caveat: Make sure you have a specific understanding up front regarding fees and billing. If you have a $10,000 lobbying budget, you might be surprised to receive a $30,000 bill after session wraps. State and regional brewers guilds often contract local universities to conduct economic impact studies of craft breweries in their state. A handful of other guilds have produced, or are in the process of conducting these studies, with the support of state agencies such as economic development boards or legislative committees. 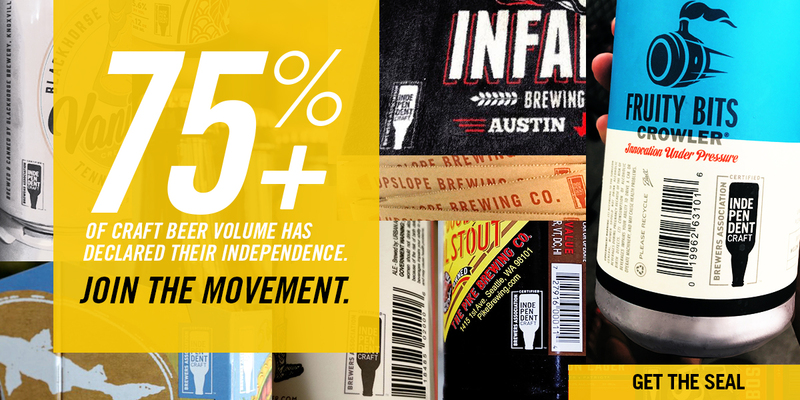 These organizations use a sophisticated software and database package (IMPLAN) to measure both direct and secondary impacts of the craft beer industry. The secondary impacts are measured through multipliers, which is what produces the final report with large financial impact numbers. Guilds can use this study whenever they are up against tax hikes and legislative bills that affect the craft breweries. The cost is often very reasonable considering the impact it will have for future issues, and you may be able to get a discount if you provide the surveys that CO or AZ have generously shared for others to use. With our booming industry, it’s important to keep the data up to date. Every state’s craft beer industry would significantly benefit from having this information. Small states with immobilizing laws would benefit from having neighboring state’s prosperous statistics, as a demonstration of what they could become. Flourishing craft friendly states who’ve demonstrated these numbers often receive much-deserved positive consideration from their elected officials. For more information on the IMPLAN modeling, please access Implan.com. The Brewers Association holds national guild meetings multiple times a year. These are great opportunities to meet and network with leaders from guilds and BA leadership, discuss issues of interest and share best practices. National guild meetings are held each year at the Craft Brewers ConferenceSM, SAVOR: An American Craft Beer & Food Experience® and the Great American Beer Festival®. They are open to guild leadership for attendance. In addition to these national guild meetings, during the Craft Brewers Conference, we organize space for state guilds to meet during the conference. If your guild has a strong contingent of CBC participants, contact Acacia Coast to arrange for a space to gather as a state. Regional Guild Meetings Regional guild gatherings also occur throughout the country, originally started by leadership within the Midwest guilds. Anywhere there’s an opportunity for multiple states’ brewers to descend upon one place for a fest or event, these are great opportunities to also come together with the guild leadership community. These meetings are super beneficial for guild leaders to connect, network and share best practices with their neighboring state associations. We’d like to see this level of communication occurring more frequently across the nation. Contact the Brewers Association’s Acacia Coast if we can be of support in gathering your region’s guilds together!